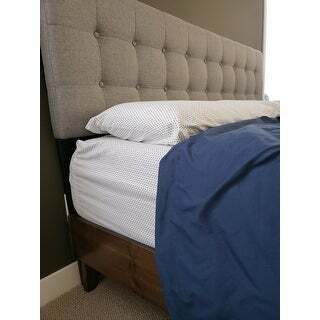 Super soft and comfortable but does ride up the mattress at corners at times. I love the flower pattern. 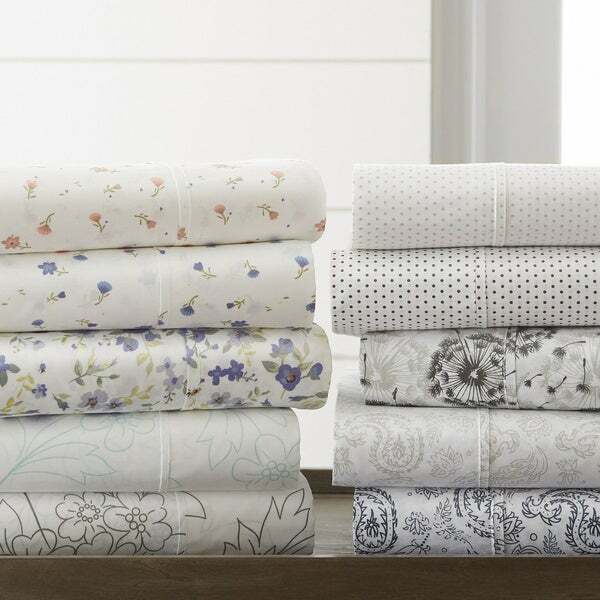 Upgrade the look and feel of your bed with this Becky Cameron sheet set. The double-brushed microfiber will feel incredibly soft on your skin as you drift off to sleep, and the wide selection of fun color patterns will make it easy to enliven your bedroom decor. I have tried 3 times to tell you , you sent me Queen sets 2, instead of Full I ordered. Bottom sheets are wrinkled &amp; not comfortable. I am 87 years old. Can you let me live in comfort with any sheets that fit FULL,. I don't have a Queen size bed. I have a Full &amp; asked for Full. I love the floral, &amp; the texture. Not the fit full of wrinkles. Blue, aqua, cream, white. Is this so difficult for an elderly lady to be happy? Eleanor Anderson It is a 5 star rating for floral, texture. Just no fit. The sheets are soft and the print (vine grey) is very pretty. They also wash well. I'm giving the sheets only four stars because although it says the queen size is 16-inches deep, the fitted sheet doesn't fit our 16-inch mattress. Regardless of how much we stretch it, there is at least one-inch of mattress not cover in one of the sides. We don't have that issue with other 16-inches deep pocket sheets. Fits great on my cal king with 3 inch memory topper. They are soft against skin and color is true to description. Good quality fabric. Easy to wash. These sheets are so soft. They fit my bed real nice even with a 3 inch thick foam mattress topper. The design as beautiful, and as pictured. The sheets are soft and have the deep pocket fit I needed to cover my mattress (Calif. King) and the 4-inch mattress topper I recently added. I would definitely buy them again. What I like most about this sheet set is that the fitted sheet fits my mattress perfectly, I have a queen mattress that is 10 inches deep and I have had issues finding fitted sheets for it. 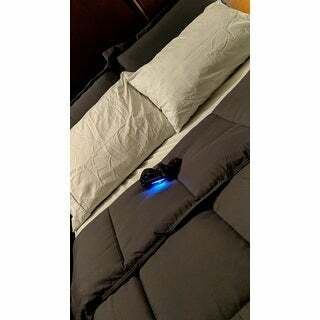 The set is indeed quite soft and feels great to sleep on, I will definitely buy this again, it was a great find. Very thin material. Pretty. My problem is that the sheets do not stay put at the corners. About 15-16 inches deep. So SO soft!!! They're fantastic! We're buying more! Ordered these before a move. Held onto them past the return time. Used them for one week and they have already ripped. Total ***. Do not buy. The photos I took are super wrinkly, but the sheets are cute. We have a queen size bed with a memory foam topper so I was worried that these would be too shallow, but they fit perfectly. We received them a fully day before we expected as well which was great. They are super soft and make you just want to crawl in bed when you get home. 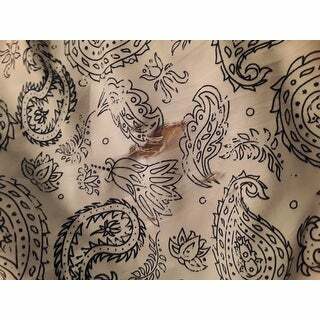 **EDIT** Do not buy these sheets!!! 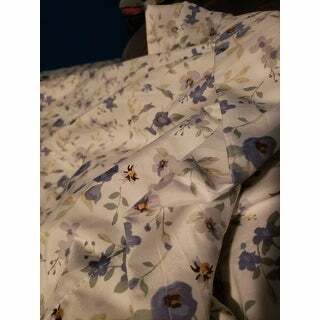 I was so happy with these sheets. I bought two pairs .... now I am stuck with two pairs of shredding fabric. After having one of the sets on my bed for a little over a week they were washed, folded and then put in the closet. 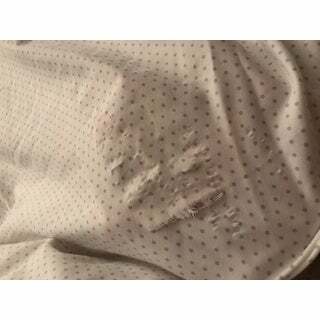 Today I went to put them on and there is a hole in the fitted sheet. It is clear that the fabric is just poor quality and is shredding. After further inspection I found a few other spots of rippling that will surely become a hole soon. Then I inspected the second pair of sheets and found the same ripples. I am beyond frustrated and will be calling overstock to complain. These are sheets for god sake and should not be shredding after such little use! These sheets are amazing. They are so soft and I love the pattern. 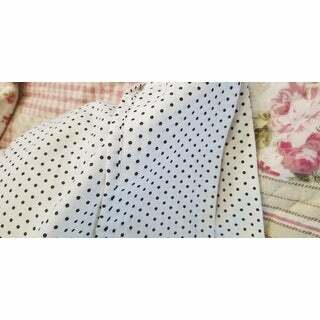 I purchased the polka dotted print in light grey and dark grey. I was a little worried about quality because of the price, but I am very happy with my purchase. I was also worried about if they would last. Because how could something so soft be durable? Well they have held up very well through washing and use. Don't hesitate, buy these sheets. These sheets are way softer than I expected. They washed and dried nicely (No wrinkles) even after sitting in drier for a few hours. The fit is nice but the stitching looks weak we will see if they hold up. It's super soft, very thin/light weight and nice print. It's on the cheap side but that works for our guest room. 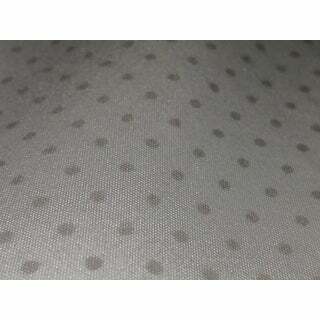 We got this bed sheet set in polka dots and they are very soft! They survived 5 washes already, and we haven't noticed any cotton balls or other quality issues. Will buy more! Like the sheets, but they are thin and one of the pillowcases was torn, so that's disappointing. I love the texture and the softness of these sheets I love when it's time to go to bed. They wash well and dry. I would highly recommend this product. Too thin! I won't purchase this brand again. Soft, good quality, nice price. These were so soft! I’m definitely ordering more to stock up my linen closet. The prints on these are so cute too! The sheets are really soft and comfortable to sleep on. I’m a picky sheet buyer. I like to feel them before buying them but.. I thought I’d take a chance on these since they had such good reviews. These sheets are awesome! I bought three more sets. They are super-soft (but not slippery) and they hold up great in the wash. Love, love, love them! Sheets are so soft and almost feel silky. I love the color and the fit. I love these sheets; Just ordered another set. Softest Sheets Ever! I will be ordering more. These look great...have not used them yet. So I will have to wait until after we have used them to see how they hold up. "How deep is cal king sheets"
These sheets are approximately 16 inches deep. It's cover a pillow top mattress very comfortable, and is easy to put on. "Are the Gray Stipple sheets a bright white or a creamy white?" The sheets are creamy white color and soooooo comfortable! I would say they are more of a bright white then creamy white. Microfiber....It clearly states that in the specs. "Will the full sheet also fit a full XL?" I'am not positive but I would buy and try The sheets are great, almost no wrinkles after washing.I will buy more!! I would not think so. XLs are the lentgh of a queen or king bed so the sheet s would be too short. "How deep are the pockets ?I need to cover mattress and a 4 " foam topper " Can't find info on that ." I am not sure if the sheets will fit the topper but they are pretty deep. They are also nice and soft. I have a 4 inch topper and the sheets fit remarkably well. I don't have to stretch them to fit. Don't think I ever saw thread count and threw packaging away. Sheets are soft, although on the thin side are adorable prints and so far hold up well under washings. The sheets are quite soft and so easy to wash and dry. I believe they are microfiber - not sure thread count applies. "which sheet is the name for the polka dot sheet?"